The Lake District contains some of the most spectacular landscapes in Britain with superb walking areas. These can be explored with these 20 walks, all of which are 5 miles or under in length and can easily be completed in less than 3 hours. The Lake District contains some of the most spectacular landscapes in Britain with superb walking areas. These can be explored with these 20 walks, all of which are 5 miles or under in length and can easily be completed in less than 3 hours. This guide, produced in co-operation with the Ramblers and featuring Ordnance Survey mapping, is the perfect way to really appreciate the landscapes of the Lake District. INCLUDES: * 20 easy to follow walks which can be completed in 3 hours and under. * Each walk has a detailed 1:25 000 Ordnance Survey map with the route clearly marked plus a detailed description of the route. * The walks have been chosen with issues like parking and refreshments in mind to make life easy for families. * Packed with colour photographs of scenes you will see along the walk. 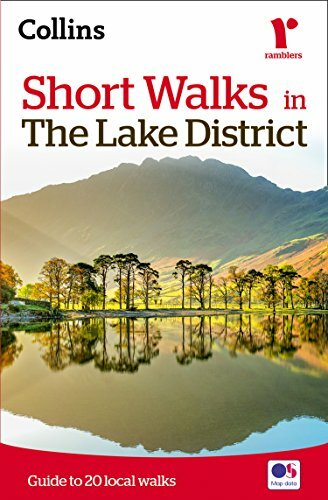 The perfect guide for afternoon walks near to Keswick, Windermere, Coniston, Grasmere and Ambleside.